Using the latest energy-saving technology the new range of App-enabled iQ controls is fully programmable to your requirements. Choose whatever heating schedules you need, from the touch of a screen, whenever needed, from the comfort of your sofa or from the beach! 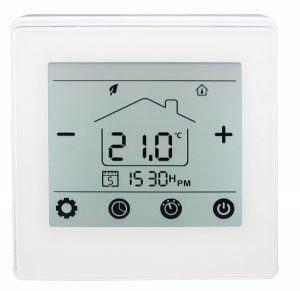 PLUS the brand new MD1 wired thermostat – extending the iQ range to provide more choice for all applications and including innovative new features. Contact Electrical are stockists of Herschel Infrared Heaters. Contact Electrical Wholesale Ltd supply electrical components and products to electricians and electrical contractors and installers in the West Midlands and surrounding area. With trade counters in Birmingham and Cannock, we can also deliver nationwide wherever your job may be. Open a trade account today and receive the advantage of our credit terms.